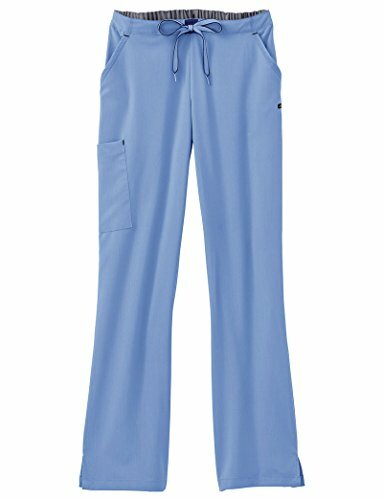 Jockey Scrubs Women's Size Guide The most comfortable scrubs you'll ever wear. 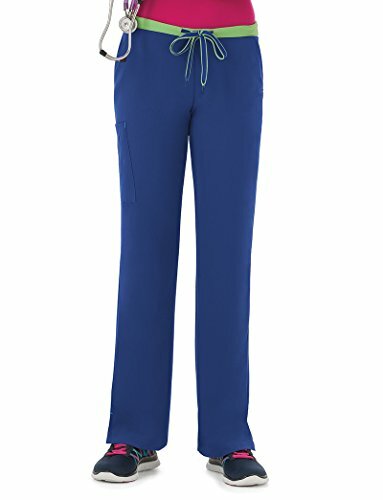 Part of the Jockey® Scrubs Modern Collection. Convertible drawstring waist offers different choices:•Tie on the outside for a traditional scrub look.•Tie on the inside for a flat front.•Tie on the inside and flip the waist down for an athletic look. Contrast colors at waistband. Elastic at back. Front hand pockets. Right cargo pocket. Split side seams at cuffs. 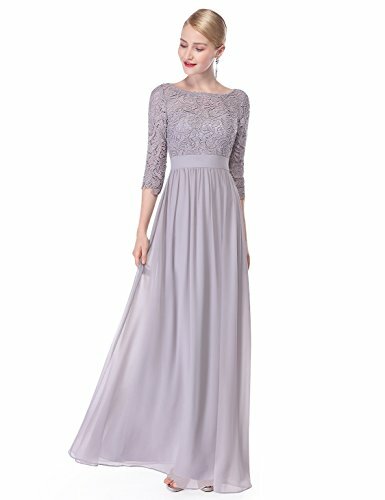 72% polyester, 21% rayon, 7% spandex. Machine wash cold, tumble dry low. Imported. Measurements: Waist Measurement: 28 in Outseam: 41 in Inseam: 32 in Front Rise: 11 in Back Rise: 14 in Leg Opening: 18 in Product measurements were taken using size SM, inseam 32. Please note that measurements may vary by size.